This home is a Rare Find! 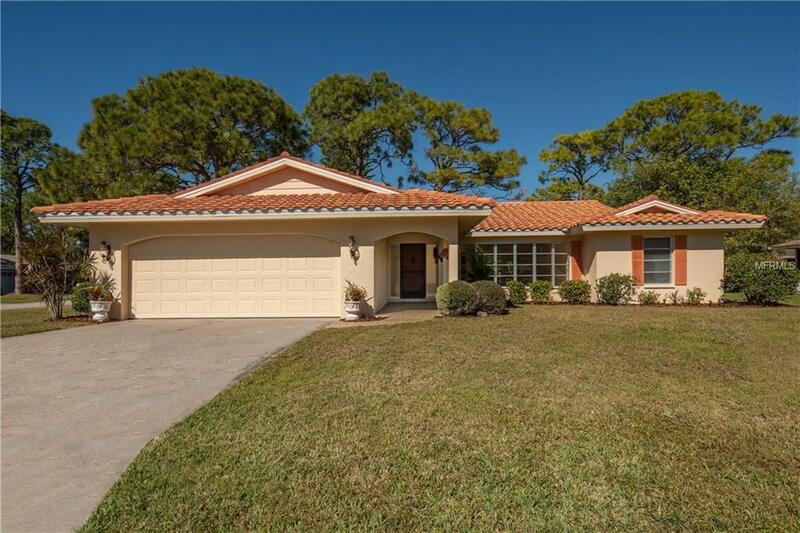 This house is located in the very desirable Gulf Gate Pines Community. This spacious split plan home is a 3 bedroom, 2 bath with beautiful ceramic tile floors throughout the home. The kitchen is open to a large family room and dining area, it has stainless steel appliances, a new refrigerator (2019) dishwasher (2019) and an eat-in countertop and a large pantry. The master bedroom is an en-suite roomy chamber with a walk-in closet and sliding glass doors with views of the lanai. The bathroom features a new vanity, dual bathroom sinks, and shower with bathtub. The other two bedrooms are on the other side of the home and very spacious. The second bathroom is updated with new vanity and shower with bath tub. The living room features a sunny bay window overlooking the lush landscaping and front yard. The roof is barrel tile (2014) Water heater (2014) and the plumbing has been all repiped to PVC. This garage is every man's dream! It's a spacious 2 1/2 car garage, has a large work bench with power, huge attic and a new garage door opener. The home has been newly painted inside and outside. The home has all new Led Lighting. No Pet or lease restrictions. Great Rental income. Gulf gate Pines is Ideally located close to Siesta Key, Gulf Gate Library, public transportation, Costco, SS Mall, and dozens of the best restaurants. Hurry this home is a must see! Drapes do not convey. Listing provided courtesy of Premier Plus Realty.